For this year’s upcoming Girl Scout Cookie Program® we are focusing on goal setting as a tool for each girl to learn valuable business skills that will help her as she moves forward in life, and that will aid each girl and her Troop to become more self-sufficient and able to do more things – with less money from parents. Things such as trips, activities, and projects that support community action and service. This year, in addition to earning Cookie Credits, each girl and her family can chose to track funds toward her Girl Scout activities. – Parents, please speak to your Troop Leader for more info on this option. Projects/Community Service/Take Action – Educating the community about an issue of importance to the girls, supporting other community agencies such as police and fire, taking on a project to help conserve natural resources or serving people in need, supporting an effort to impact girls or children in far-away places whose lives may be very different from girls in Nassau County. Individual girls can set their sights toward earning “Cookie Credits” that can help their families to cover the costs for Girl Scout Camp, Troop activities, events sponsored by the Council or advertised in Possibilities, as well as be used to fund Girl Scouts of the USA Destinations. Having a goal without a plan is just a wish. Once each Troop and each girl decides on the goal, they/she must decide the steps necessary to reach that goal. This year Girl Scouts is able to offer every girl and every Troop terrific tools for making their plans. Check out the Girl Scout Cookie Club for all the details on setting goals and making plans!! And Cadettes, Seniors and Ambassadors can become CEOs – Cookie Entrepreneur Officers. This site offers even more details on how to develop effective and workable plans. Now that Girl Scouts can use the internet to help market their Girl Scout Cookie® campaign, girls have even more tools and resources at the ready! Girls can ask family and friends to support the Girl Scout Cookie Program in person, through an email using the safe resources of the Cookie Club website or by making a phone call to people that they know. Girls (accompanied by an adult) can also knock on doors and participate in Cookie Booth Sales. So good luck to all the Girl Scouts of Nassau County as Cookie season approaches! 2010 is a great year for selling Cookies! In life and in business you need to have “some big hairy audacious goals...,” Jim Collins, in from Good to Great. Goals are so important to all of us in life. Goals provide a measurement. Having goals allows us to experience success, to fail and be disappointed, to try again (and again) and to persevere. These are skills that will benefit a child throughout their school years, in their relationships with family and friends, in their career and throughout every aspect of their life. Without goals it will be hard for a child to know if he or she has succeeded or just coasted to the next stop in the road. So, this year for my “big hairy audacious goal” (BHAG) I am challenging all of the Girl Scouts in Nassau County to raise the bar and meet the challenge to have a Council-wide average of selling 100 boxes per girl for this year’s Girl Scout Cookie Program. (The national average is 135 boxes per girl; in our Council, the average has been 64 boxes per girl for the past several years.) To work, Collins says that a BHAG has to be clear, compelling and one that people can understand right away -- it is galvanizing and creates team spirit…I hope my BHAG inspires our girls! You may be asking, why is the national average so much higher than Nassau County? Well that’s because in other parts of the country parents have recognized that Girl Scouting is a great program value – in terms of what their daughters learn and achieve. And it is a financial value because girls and families can learn and earn, without taxing a family’s resources. The Girl Scout Cookie Program helps to level the playing field and allows each girl to be part of the fun. Of course, other youth service programs have some scholarships available or funding for those kids most in need (as does GSNC), but in Girl Scouting, every girl and every family has the opportunity to learn and earn. Because the per capita income in Nassau County is among the nation’s highest, perhaps families here have not felt the need to be as involved in the Cookie Program and have been more willing or able to pay for trips and activities. However, with recent economic changes it is more important than ever that each girl and her family recognize the value of learn and earn. So I urge every Girl Scout and her family in Nassau County to take the 100 Box Challenge! And for those girls who have met or exceeded the 100 box goal in the past, we urge each of you to set your goals higher than before. Share with your sister Girl Scouts the techniques that you have used to be successful. And tell us your stories of how the money your Troop has earned has been used! P.S. As a bonus for Troops – Troops that meet the 100 box average will earn an extra two-cents per box towards their goals! Did you know that the Theodore Roosevelt Council of Boy Scouts of America, located right here in Nassau County, is under the leadership of David Richardson, a Bama alum? What does that have to do with the Girl Scouts of Nassau County? Well as you may or may not be aware, I am a Bama alum too! David’s wife Sharon and I even graduated the same year! What are the odds? Okay - quick FYI...Bama is the affectionate name of the sports teams at the University of Alabama, where I earned my undergraduate degree. AKA the Crimson Tide, Tide, Roll Tide. Bama has had some very good football teams. And football is sort of like a religion in the south...and I'm nothing if not a good southern girl! I love college football, but know hardly a thing about the Pros. I started going to college football games when I was six years old with my Uncle Jake. He was my favorite, and I was his. I'd do anything to please him, including learn all the players names every year, and all the rules. Other kids might absorb a foreign language at a formative age. I soaked up football. Incomplete forward pass stops the clock. First and ten let's do it again. Special teams can make or break a season. I even know what offensive pass interference is, and what a safety is. And, I even know why the Crimson Tide's mascot is an elephant and that when Title IX was passed, giving women equal access to sports, it was Joe Namath who made the first big contribution to women's sports at The University. (Yes, there are several other universities within the borders of the State of Alabama, but whenever you use "the," there is only one...) And this year Tiffin, the kicker, became the school's all-time high scorer. The thing is, in the rest of my life, I am a rather peaceful person. I have not had any significant proclivity to violence or even other contact sports. I would not have wanted my own son to play football because he could have gotten hurt. And boys do get hurt - every week. And we're finding out now that all that head knocking, even with the helmets, is probably not good for anybody. Pro-football players appear to have higher instances of early onset dementia and other related ailments. And yet, I can't curb my enthusiasm and anxiety for Bama. When you have won 11 games in a row and you are going up against your all-time rival, it can be very stressful. While others are out scooping up the bargains after Thanksgiving, this Friday is the legendary Iron Bowl, Alabama vs. Auburn. (They still call it the Iron Bowl even though it hasn't been played in Birmingham for years.) When they pull this one off - the following week they go against #1 ranked Florida for the SEC Championship! All I have to left to say is Happy Thanksgiving to you and yours and Roll Tide! My father was a World War II veteran who fought in North Africa, on to Italy, had a heart attack and was sent back to the States to recuperate, and then shipped off to fight in the Philippines. His years of military service were part of his life story, and mine. He died of heart disease when I was six years-old. I have the flag that covered his casket and remember the twenty-one gun salute at his graveside. As Girl Scouts, we promise to honor God and Country. It is so important that we teach our girls about those who have gone before – who have served their country in war, many sacrificing their lives, each of them changed from their experience. We must honor the past, and continue to give our respect and support for those who are currently serving in the military. As Girl Scouts of Nassau County go boldly forward, building girls of courage, confidence and character, we recognize the value of a strong defense and military service. And we have the opportunity to study peace, to learn new strategies for building communities of unity, to exercise tolerance and to practice respect for diversity so that we can make the world a better place. And maybe one day we will “study war no more …” And on my next trip to Normandy I will be sure to visit all the cemeteries. I recently meet a group of eleven extraordinary women, all Girl Scouts and all members of the The Golden Eaglet Order of the Hendrik Hudson Region. These women all earned their Golden Eaglet (then Girl Scouts highest award) between 1919 and 1938. I had the privilege of attending a reception in their honor at GSUSA, one of these women; Dagmar Yabsley is a member of Girl Scouts of Nassau County. 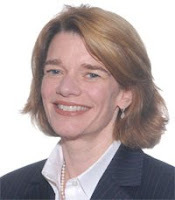 My guest blogger today is Josie Duckett-Boyd, Manager, Individual Giving/Stewardship & Alumnae Relations for Girl Scouts of the USA who arranged the event. Here are her impressions of the day. On October 22, eleven women, all in their late eighties and early nineties, from The Golden Eaglet Order of the Hendrik Hudson Region, were honored at a reception hosted by GSUSA. The Golden Eaglet Order of the Hendrik Hudson Region was formed so that its members could stay connected with Girl Scouting as well as with each other. While many of the members have passed on, those that remain continue to meet bi-annually since 1926. Our founder, Juliette Gordon Low would be proud that her vision of building girls of courage, confidence and character who make the world a better place has truly been realized in the Golden Eaglets. While all are now retired, they served our communities as teachers, librarians, chemists, authors, secretaries. In addition, each Golden Eaglet has been passionately committed to the Movement for over 75 years - as volunteers with their councils as well as with the Olave Baden Powell Society. In addition to contributing their time and talents, they have also lent their support through their financial treasures. Jaclyn Libowitz, GSUSA Chief of Staff provided a very warm welcome, followed by a rededication ceremony led by Susan Brooks, CEO, Girl Scouts Heart of New Jersey and our very own, Donna Ceravolo, CEO, Girl Scouts of Nassau County, Inc. Later,Dolores Swirin, CEO, Girl Scout Council of Greater New York, Inc. provided remarks. Special highlights of the afternoon included a heartfelt speech by Sarah Mackay, third generation Girl Scout whose “Golden Eaglet” grandmother also attended. Marion Schreter, President of The Golden Eaglet Order of the Hendrik Hudson Region, also spoke on behalf of The Golden Eaglets and delivered a humble thank you to the GSUSA staff who helped make this event happen. All in all, it was a very special day highlighting the importance of Girl Scouts in the past century and beyond. It gave those who attended a deeper appreciation for the women who shoulders today’s Girl Scouts stand on. More importantly, it connected our past with our present as we head toward the future and particularly, our 100th anniversary. What an event! 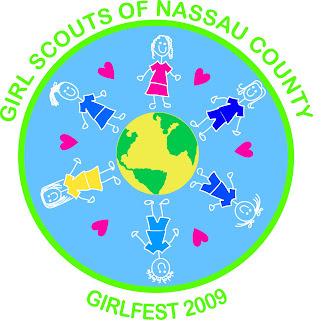 This past month the Girl Scouts of Nassau County were very proud to present GIRLFEST 2009 - “It’s Your Planet – Love It!” More than 1500 girls ages 5 to 17 years old celebrated what being a girl and a Girl Scout was all about on Sunday, October 4th at the Broadway Mall in Hicksville, NY. We feel that this year’s event was a resounding success and we could not be happier with the turnout. The fact that we were able to reach so many girls in Nassau County and help educate them on how to make a difference and give back to the community all while having a terrific time only makes it that much better. GIRLFEST attendees had the chance to preview the Fall Products Program and participate in more than 70 tables full of fun and educational activities and workshops focused on healthy living, science and discovery. Girls also learned how to make various arts and crafts while listening to the famous singing voices of the Girl Scouts of Nassau County Chorus. This year’s GIRLFEST taught girls to be resourceful and sustainable and to treat our planet earth with the utmost respect. We were also able to kickoff the Girl Scouts of Nassau County Kids-4-Kids Food Collection at the event raising more than 696 pounds of food for Long Island’s hungry. So to everyone that participated in GIRLFEST 2009 – thank you for joining us! We hope you had as much fun as we did and can’t wait to do it again next year! P.S. We’d like to thank the Broadway Mall, specifically Trish Ketelsen, Marketing Director who helped make the event such a success. GSNC finds a new way to SPOTLIGHT the Fall Products Program! At this time of year we look for new and exciting ways to encourage our members to participate in the Fall Product Program and gain the support of our community. This year we are trying a new method…video production. Here is just one of our new videos. If you enjoyed this video, visit our YouTube channel to see the rest. You may be asking how I can support the Fall Products Program! Check with the Girl Scouts you know and visit our website to learn more about the Girl Scouts Fall Products Program. In addition to nuts and candy, our girls offer a wide selection of magazines to purchase or for subscription renewal. This year, the online magazine sale will enable girls to reach out directly to their email connections – friends and family, near and far. Ordering online is very easy, and 45% of the proceeds from your magazine subscriptions stay right here in Nassau County for the girls when you order from Girl Scouts. – You can also find great books and music too! I used to walk them to the bus stop every morning. On the first day of school I would take a picture of all the children standing there waiting for the bus to come. We always enjoyed comparing this year’s pictures with those from the years before. We could see how friendships may have shifted, how their sense of style was changing by the clothes they chose to wear, even how their interests were beginning to take shape by the musical instruments they toted along with them or by the sports equipment they carried. I’m sure the picture would look very different if I were snapping a picture of my daughters at the bus stop today. I would probably be snapping the pictures from my cell phone, downloading it to my computer, posting it on my Facebook page then sending it off in an email to my family and non-Facebook friends. And, I would probably get it all done before my daughters had even arrived at the front door of their school. Technology has changed everything, especially for our kids, not only in the way we communicate, but in the ways we work, play, and conduct our relationships. One of the “jobs” of a child is to figure out exactly who she is and where she fits in the world. School is a wonderful place to do that. For a few hours a day, we separate from our parents and move into a world where we get to try things out for ourselves. Friendships help us to navigate the school day. Our friends provide us with clues to our identity. Our friends help us to feel connected, which is a universal need. Our earliest ancestors depended upon the group for their survival. Kids today are no different. They still need the security and protection of a group of friends to help them figure out who they are. What’s different today is the impact of technology on our kids and on their relationships. The 2009 Juliette Low Award of Distinction Goes to Emily F. Franchina, Esq. At Girl Scouts of Nassau County’s Annual Luncheon we once again turn to an outstanding woman in our community and present her with the Juliette Low Award of Distinction. Over the past 22 years our honorees have embodied the best and brightest of the women in our community, women who excel in business, the professions, arts and volunteer service. Beyond individual accomplishments, which are legion, each of these women demonstrates her commitment to the life of the community through service and philanthropy. This year Girl Scouts is proud to salute Emily F. Franchina, Esq. Emily is an attorney concentrating in Elder Law, Wills, Trusts, Estate Planning, Estate Administration, and adoption. She is a graduate of Hofstra University School of Law. Active in law and the community at large, Emily currently serves as President of the Nassau County Bar Association. Her dedication to the elderly, disabled, and their families is evidenced through her many committee affiliations. She is active in the Bar Association’s WE CARE Fund, which supports a Girl Scout troop in Hempstead. 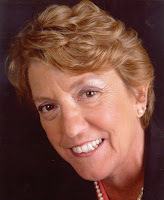 Her community activities include the Theodore Roosevelt Sanctuary & Audubon Center, Mineola Garden City Rotary, Rotacare, the Long Island Alzheimer’s Foundation, NY Bar Foundation and St. Johnland Nursing Home. Emily has been a guest speaker on radio, she has lectured for the National Business Institute, has presented numerous lectures for various community groups, libraries, adult education programs, area universities, the Women’s Bar Association of New York, the New York State Bar Association and the Nassau Academy of Law. She authored columns dealing with estate and elder law issues, entitled Counselor’s Corner, published through the Nassau County Bar Association and has authored articles for the Long Island Alzheimer’s Foundation. Emily’s long list of achievements and affiliations certainly tell us that she is a devoted community servant. And, Emily is also fun, caring and inventive. Each time I am with Emily, her warmth and humor are foremost. She goes the extra mile for her community and her friends. She is an excellent role model for girls because she has chosen to put the words of the Girl Scout Promise and Law into action in her life. I can’t wait until our Luncheon on October 27th at the Garden City Hotel …That is when the Girl Scout Community and so many of Emily’s friends and family will join me in the privilege of celebrating another great Girl Scout of Nassau County. Emily, we will all be cheering for you … THANK YOU for being a leader and problem solver in our community. You do us proud by accepting the Juliette Low Award of Distinction! 2003 Myrka A. Gonzalez, Esq. EdD. 2000 Erica B. Garay, Esq. Congratulations to Robyn M. of Troop 3262 whose winning entry was chosen for this year’s GIRLFEST patch! GIRLFEST is Sunday, October 4th! 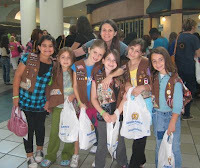 Thanks to the Broadway Mall in Hicksville, Girl Scouts of Nassau County will once again present GIRLFEST in its spacious corridors …GIRLFEST is an opportunity for girls and Girl Scouts of all ages to come together for FUN, friendship and to share program ideas and activities … Last year over 1000 girls came out for the fun! Many of our great vendors who promote their programs through our Possibilities publication will be giving demonstrations and providing more info on the opportunities available from their companies and organizations. This is a great chance for Troop Leaders and girls to get a better idea on the program activities available, which will help as the girls plan their year and set their goals. There will be opportunities to learn more about the Girl Scout Journeys, about the Girl Scout special interest groups, such as the UMOJA Alliance, the Asian Task Force and the Hispanic Latino Task Force, as well as getting the latest information on other new programs. You can learn more about our Critical Issues work. – And see previews of our Fall Products Program. The most exciting parts of GIRLFEST are the activities that are designed by and presented by the girls themselves. Various girls and their Troops will be demonstrating everything from our winning Lego Robotics teams, to arts and crafts activities, SWAPS and community service opportunities. (If you want to present an activity, HURRY!, we may be able to make room.) The Girl Scouts of Nassau County Chorus will perform. And there will be a contest to design this year’s Holiday Card for Girl Scouts of Nassau County. I hope to see you on Sunday afternoon, October 4th … You can register in advance for $5, or $10 at the door … All girls, from kindergarten and up are welcome, regardless of whether they are registered Girl Scouts. There is no charge for adults. – And to continue the Girl Scout spirit of giving back, all guests are asked to be bring non-perishable food items (cans, boxed) that will be donated to Island Harvest. Recently I received a mailing from a nearby friend about buying Girl Scout cookies, and I had to pause. No, not over the fact that soon I’d soon have some yummy Thin Mints to munch. Instead, I marveled over the realization that Girl Scouts of Nassau County is now in its 97th year. Nearly a century later – in a post-feminist world, no less – the Girl Scouts of Nassau County is still thriving. Ninety-seven years is a long time. And in that stretch, women have accomplished a lot: Think women’s rights activist Gloria Steinem, the first female Supreme Court Justice Sandra Day O’Connor, designer Vera Wang, Olympic Gold Medal Skater Dorothy Hamill, each of them Girl Scouts alumnus. You get the picture. Women are world-class leaders in virtually every field imaginable, from government to business to sports and beyond. These days, you don’t have to look far to find inspirational trailblazers. Many moms are busy juggling rewarding careers while also running their homes. The result? Girls catch a glimpse of their owns futures, ripe also boundless opportunities. Arguably, these possibilities were not so tangible nearly a century ago, when founder Juliet Gordon started the Girl Scouting tradition as a means to build girls of courage, confidence and character. And remember, Gordon was blazing trails at a time when women still didn’t have the right to vote in the United States! This contrast in women’s impact in the world, 100 years ago versus today, lead me to wonder: With so many women role models to emulate, is there still the need for organizations outside the home to provide leadership development for girls? Absolutely. Sure, we still have a long way to go, with equal pay and the need for parity in other areas both nationally and abroad, still unmet. But perhaps just as important, mothers today are time-crunched in ways not largely experienced before. After all, there are only so many hours in the day to prove our worth in the workforce while also raising children to grow up with the kind of values that ultimately will enable them to make a difference in the world. For busy moms today, Girl Scouting is a gift. It offers leadership programs for troops, as well as for girls who on their own want to pick up new skills. There are fun outings to Citi Field and jewelry workshops where girls can design their very own creations. These are the very kinds of activities moms want their kids to experience, assuming these overcommitted parents possess the wherewithal and inclination to plan accordingly. Many of the moms I know often wonder how they can be it all – breadwinner, chief entertainment officer, and teacher. Girl Scouts shares some of the responsibilities, with a community that seems to always be there for families, no matter what. Women surely have come a long way in the last century. But the need for community never goes away. Funny, that with so much progress, some things never change. ADINA GENN is an award-winning journalist recognized with several press club awards for her news and feature work. She is the co-author of “Everything I Know About Business I Learned at McDonald’s: The 7 Leadership Principles that Drive Break Out Success” “So, You Want to Franchise Your Business” and “The Everything Fundraising Book.” In April 2007, she was named the U.S. Small Business Administration’s Journalist of the Year. You may have noticed that we as a Council have warmly embraced a new way of communicating with our supporters, troop leaders, and Girl Scouts of Nassau County past and present. That’s right, we’ve jumped on board the social media bandwagon! Now, you can find us on social networking sites like Facebook and Twitter. You’ll see that we’ve tried to be more interactive on these sites and our website by adding video and audio podcasts. And, even more so, we’ve started this blog as yet another way to reach out to our community. As always, thank you for reading! As a fun adventure, we thought it would be entertaining to put together what we have coined, “The Great Girl Scout Trivia Contest.” Each week for 6 weeks, we will announce a trivia question via our Twitter and Facebook Fan Page sites. To play along simply answer the trivia question. If you answer correctly, you will be eligible to win a Girl Scout goodie bag which includes two boxes of our famous Girl Scout Cookies . Answers and winners will be announced on Friday at 12 noon of that week. So stay tuned to our Twitter and Facebook Fan Page for trivia question announcements every Monday at 12 noon for the next few weeks. We hope that you have fun and please help us spread the word – the more participants the better! Every summer since I was 7 years old has always had one similarity. It isn’t barbequing on the fourth of July or going on vacations with my family, it was spending a few weeks at the Girl Scouts of Nassau County’s camp, Camp Blue Bay. As I am now preparing for my fourth year on staff and my thirteenth summer spent at the camp I can’t believe some girls never get to experience the fun a sleep away camp provides. Memories of this camp are ones that I will always hold dear in my heart. Camp Blue Bay and the activities that are done there are based on what Girl Scouts wants to build in girls; “Courage, Confidence and Character” and I know I have gained all three plus many other traits that have shaped me into the person I am today. Knowing that last years staff consisted of fourteen women who started out as campers; shows how much of a family atmosphere the camp provides and the best part is; it’s not hard to feel at home there. When girls arrive at the camp they immediately get to know one another playing games and settling into what will be their new home for a week or two. Within the first few hours campers get to spend time at our Trading Post and Bay for some swimming as well as, enjoy a delicious lunch and dinner where they’ll learn plenty of new songs. But I think the best part of camp comes after dinner, each unit of girls has a campfire filled with learning new camp songs and of course s’mores! And as the fire burns and you can look around; it’s easy to tell the people who surround you are going to make sure you have the best time you can while you’re at camp. With only a week to go before I start summer number thirteen, I remember little 7 year old me who ran off the bus when I got to camp and laugh because to this day I still have the same amount of excitement inside me. I am so excited to meet every new staff member, and see the faces of both new and returning campers for what is sure to be another amazing summer. I’ll be sure to eat a s’more for those reading and hope that one day soon you’ll find yourself glancing at a camp brochure and smile and think maybe its time to let your daughter experience the glow of a campfire, and the memories she could make at camp. Katie VandenHeuvel is a long time Girl Scout in Nassau County. The past few weeks have been abuzz with Girl Scout awards events. In addition to our big Girls Scouts of Nassau County Gold Award Ceremony on June 14th where we honored 74 girls, we were part of County Executive Tom Suozzi’s salute to this year’s Girl Scout Gold Award and Boy Scout Eagle Scouts, and a similar event hosted by Town of Hempstead Supervisor Kate Murray. These were all fun occasions that showcase the best and brightest of our girls. These events give girls the recognition that they know how to start a project and see it through to the end --- even if the “end” turns out to be different from how that project was first envisioned. The Girl ScoutGold Award recognizes intention, perseverance and success. Equally as much fun as the big events, members of the Girl Scout Board and staff have also had a dozen or more invitations to be part of awards and bridging events in Associations and even for a few very polished Troops. Participating in these events gives us a chance to see our girls shine in very up-close, personal and girl-driven events. And we get to connect with parent and adult volunteers to thank them for their service. The Girl Scout bridging ceremony is a rite of passage in Girl Scouts that signifies that girls are passing from one level of Girl Scouting to the next. I “saw” bridges that required the imagination of all in the room to picture, as well as elaborate wooden bridges that could be a tremendous addition to any garden path, decked with flowers and complete with shiny “water” running underneath. The ten Daisies at the Union Baptist Church flew up to Brownies and performed a skit depicting Oprah’s famous “Legends’ Luncheon;” the audience of 100 women got to hear from those who broke gender and color barriers like Cecily Tyson, Ruby Dee, and Dorothy Haight. The girls were decked out in their finest fair and guests were asked to wear dresses, hats and gloves to the afternoon tea that followed their ceremony. It was the perfect juxtaposition of traditional lady-like traditions, while instilling in these girls a sense of their heritage and the potential for their future. For me, in all of these wonderful events, I was touched by the patriotism of the girls, the creativity and hard work that that went into the projects, and the dedication of the girls, their Leaders, their parents and the community that came out to support them. At the local events, local elected officials and leadership of civic organizations were much in evidence. Everyone wanted the opportunity to salute our girls for their achievements, to recognize them with engraved certificates and have their pictures taken with our girls. Sunday, I attended the Girl Scouts of Nassau County Gold Award Ceremony. As the Director of Marketing, this event is full of anxiety for me. I worry that everything is going to go right. Are the Gold Award Recipients and their families going to think the day was special? Will all the media presentations run without a hitch? Will enough Chorus members show up so we can do the planned repertoire? These are just details. This anxiety is always overshadowed by the other emotions I feel on this day. I am filled with pride for all the accomplishments of the girls we honor at this event. Yesterday it was 74 young women. I am filled with wonder at how many people they have helped through their projects. They are the cream of the crop in the Girl Scout world but they represent all the 22,000 girls in Nassau County on this day. I am curious about where these girls will be in five years. At the ceremony Danielle D’Ambrioso answered that question as the keynote speaker and a 2004 Gold Award Recipient. 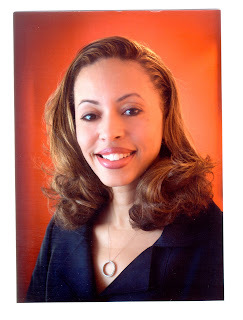 She is now an alumna of Babson College and has a career in Commercial Real Estate. A tradition at our ceremony is to acknowledge past recipients in the audience, as I watched these women rise I thought “What are they doing now?” Some of them have keep in contact with us and so I know that Malorie Mendoza is attending SUNY Stony Brook as a pre-med student. Or Erin Stark is studying to be a massage therapist. Or Catherine Azzara, who is the director of our Chorus, is now a Speech Pathologist. But what about the other women who have earned this award, where are they now? What are they doing? YOU can re-connect with Girl Scouts of Nassau County by visiting our website at http://www.gsnc.org/about/alumnae.asp and tell us your story. Take Action is where the rubber meets the road. A goal without a plan is just an unfulfilled wish. As girls “Discover” and “Connect” they will see areas in our world that need their attention, problems that need to be solved and wrongs that need to be righted. If we only bring girls to awareness, then we have not done our job. Girls must be empowered to Take Action to make the world a better place. Because all of the programs and activities in Girl Scouting are age-appropriate, the action steps are geared to a girl’s capacity. As an example, let’s take the issue of bullying – something that receives a lot of press these days, and is one of Girl Scouts of Nassau’s County’s priorities in our Critical Issues Initiative. Action for a girl in kindergarten might be to recognize that someone is being bullied or picked-on, and then just going to an adult to get help. For girls in elementary school, action might include befriending someone who is the target of aggression or even speaking out. By middle-school and high school, girls have more skills and confidence, they will be better able to identify problems and speak up. Their actions could go even further and involve designing and delivering programs to other girls on bullying or working with the leadership of their schools to make sure that policies are in place and implemented to protect all students. 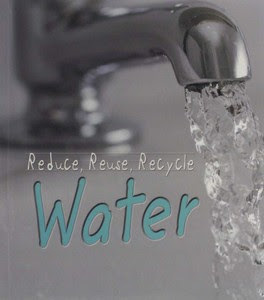 Another example of age-appropriate action might be around water conservation and pollution. There is no end to the ways that all of us can and should Take Action. Through Girl Scouting girls develop fundamental values that help them to understand their place in the world and the importance of God, country, truth, justice, and responsibilty . Girls gain skills that enable them to analyze problems and devise solutions. Discover, Connect and Take Action – These are qualities that will enrich a girl’s life, and an adult’s world too. Come join the fun of Girl Scouts … no matter your age! Connect - In Girl Scouting girls learn to connect with other girls, adults and even with ideas … Girls who are part of a Girl Scout Troop are often lucky enough to have a built-in set of friends, along with a caring group of adults to support them. These friendships can go with a girl throughout her life. -- I’m still friends with Sandy Chojnowski, who was in my Brownie Troop in 1958! Girl Scouting also takes girls outside their comfortzone and helps them to connect with other girls, and with a wide range of people in their community and beyond. Camping and Girl Scout destinations! offer great opportunities for expanded connections within the Girl Scout family. 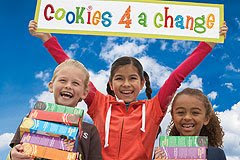 Participating in the Girl Scout Cookie Program® can connect girls with the public, and with the world of commerce and business. Providing quality customer service is a prime connection that even a child will understand and value. Everyone appreciates being treated with a smile and a few kinds words during any business transaction, and Girl Scouts gives each girl the opportunity to experience that kind of successful connection. Community service projects can give girls the opportunity to meet new people, explore careers, and connect with community leaders. This year our 74 girls who received the Girl Scout Gold Award made connections as varied as working directly with younger children, approaching their school administrators on a new recycling project and providing supplies for needy children in the rural south. They did intergenerational projects with their elders and they produced entertainment and athletic events that brought their communities together. Through Girl Scouting I’ve had the privilege to connect with our elected officials and with Girl Scouts and Girl Scout Leaders from across our Council and around the world. While waiting for the evening show at Walt Disney World’s MGM Park, I met a Troop of girls and their Leaders from Kansas. In Honolulu I was wearing my Girl Scout hat while standing in line at a concession stand. A gentleman tapped me on the shoulder and asked if I was part of Girl Scouts in Nassau County, New York. I said yes, and introduced myself. When he introduced himself, I recognized his name as a donor who had just given our Council $2000 to support our work in the Hispanic community – Small world! In 2002 I hosted a group of Girl Guides from El Salvador, and I still hear from one of them regularly on Facebook. While traveling in London last year, it was easy to identify Girl Scouts and Girl Guides who were traveling in uniform and I got to feel that same sense of connection that I have here at home when I'm visiting an Association event, or encountering a Booth Sale at my local super market. I’m looking forward to using this blog as another way to connect with my Girl Scout sisters … Next we’ll tackle the Girl Scout Key- Take Action. 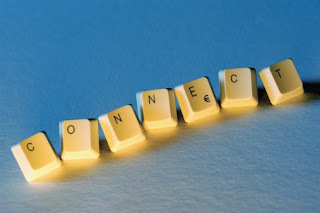 Discover, Connect and Take Action! 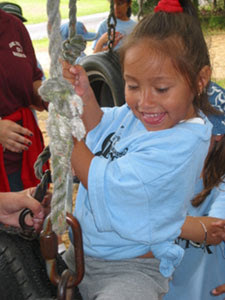 All Girl Scout of Nassau County activities and programs use at least one of the three keys. Some activities incorporate two or even all three … Lots of top thinkers and practitioners in youth development have been part of designing the new Girl Scout Leadership experience, and while we have new books and materials, all of this builds on a strong foundation of Girl Scout programs and activities that have been around for almost a century! The following three blog entries will discuss each of these keys. Let’s first look at Discover! Discover – Girl Scouting helps every girl to discover more about herself and the world around her. Crafts and community service projects produce a finished product at the end, but along the way a girl may have mastered a new skill, polished an existing talent, gathered information on how something works, and practiced self-control and perseverance. My very first project as a Brownie was to make a “sit-upon” out of folded strips of newspaper. For many girls this may have been a continuation of craft skills learned at their mother’s knee. However, I come from a very un-crafty tribe. There were a few aunts that sewed, but, by and large, I was never encouraged to do anything that might involve making a mess, or using scissors. Imagine my seven year-old delight to come away with a finished usable product! For weeks I saved all the newspapers I could find and made these mats for everyone I knew … I discovered that I could create useful things! -- I took the sit-upon skill and figured out that it was the same principle involved in making potholders , with a little loom. And over my childhood I must have made hundreds of those. – And while arts and crafts does not play a major role in my world, I do still know that if I try a project, I’ll probably be able to do it! Not every exploration finds gold or a “sit upon” at the end of the rainbow, so girls may also learn what they don’t know, they may have to start again, and they may discover things that they did not know about themselves. For a generation that is sometimes described as the “Blue Ribbon Generation,” learning that one can fail and still survive, that one can start over, that things don’t always work, and that hard work has special rewards are very valuable life lessons. Discovery is not just a highway, it is a whole map and some roads lead to adventure, some to success, some may go in circles and others maybe dead-ends. I’ve learned so much about myself through Girl Scouting … -- I can’t wait to see what I will discover next about ME.! Next up, we’ll tackle the Girl Scout key, Connect!